These are supplementary resources designed specifically for use in Practical English Writing 1. In that book, I had a section that needed some travel brochures redesigned because the original material was copyrighted and not suitable for publication within the new book design. Fortunately, I have traveled around Korea quite a bit and have taken a number of photos that could be used just for that purpose. 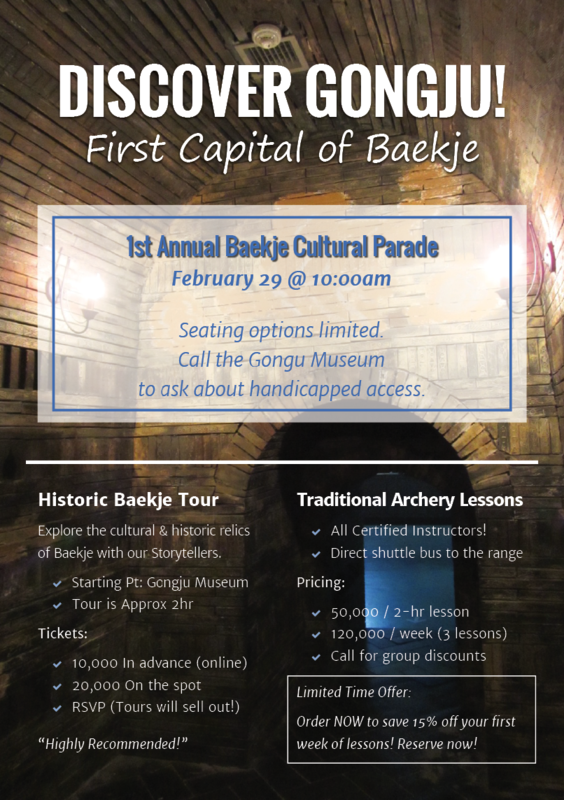 Two of my favorite places that I’ve visited with my family are Gongju and Buyeo – the capital cities of one of the Three Kingdoms of Korea: Baekje. While the entire flyer above is fake, there are elements of it that are true (and I designed it in this way primarily to fit the pre-existing list of vocabulary words that were present in the original book). I designed this brochure specifically with a previous trip I’d taken in mind. 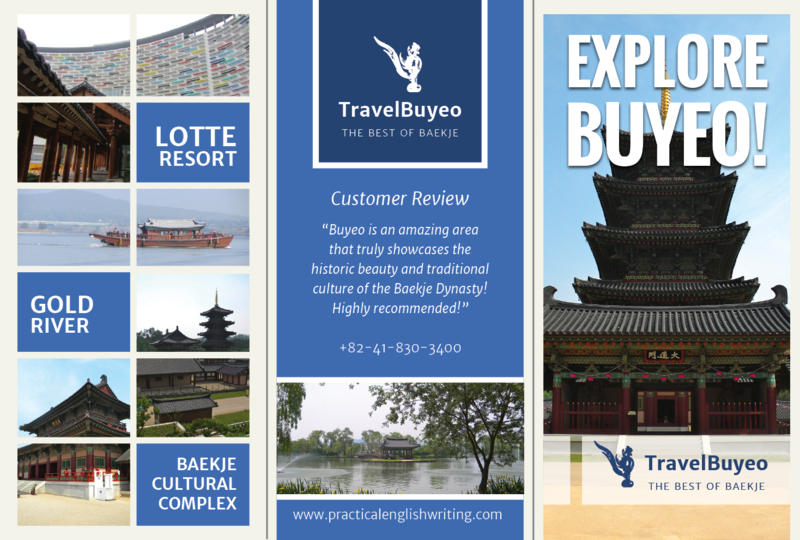 All of the information on this brochure is actually TRUE (except the practicalenglishwriting.com link and the fake TravelBuyeo company). 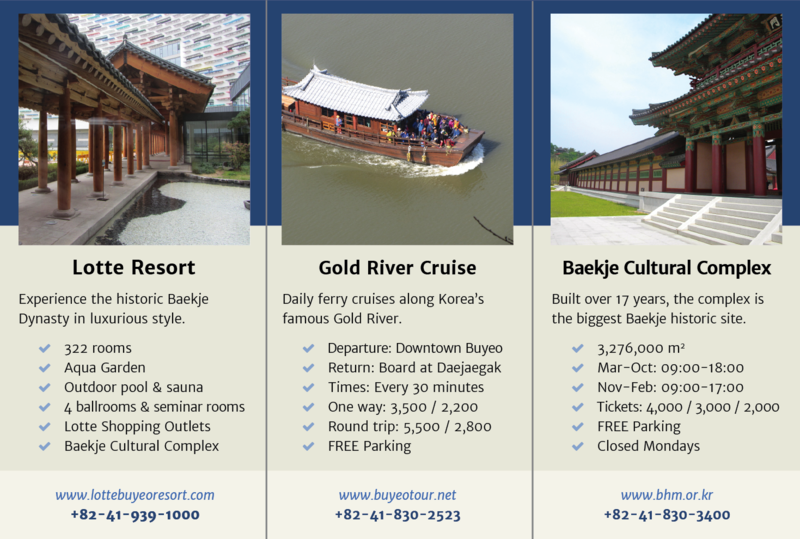 I actually looked up all the information, websites, and contact phone numbers for each of these places to include them on this brochure – just in case someone else wanted to take a tour there as well. 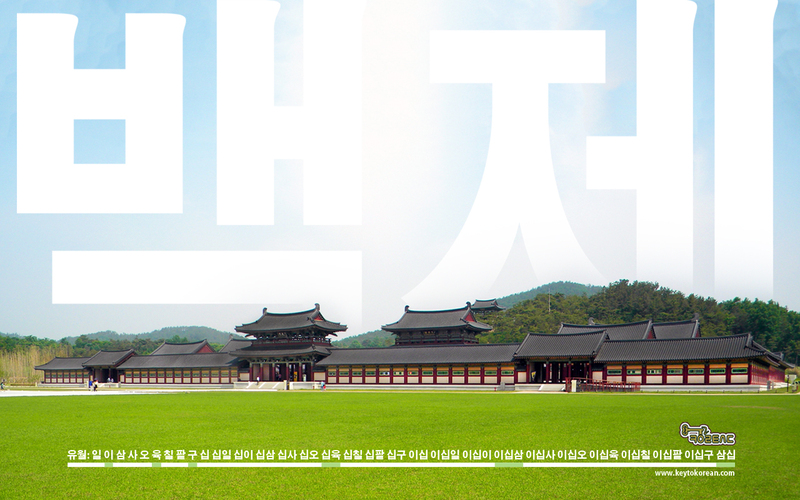 In addition to these designs, I’d also previously created some desktop and smartphone wallpapers after one of my trips to Buyeo. These are not included in the textbook, but are available for free download from my Korean language learning website here. 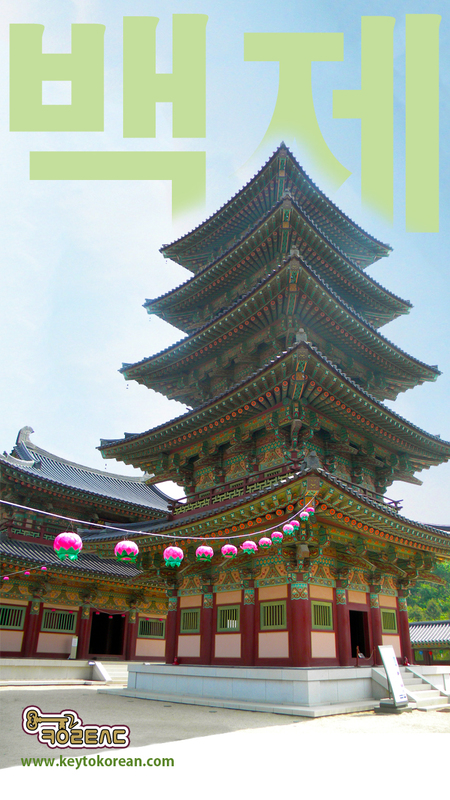 The text above them says “Baekje” which is the name of the old Korean dynasty that made its capital in the city.